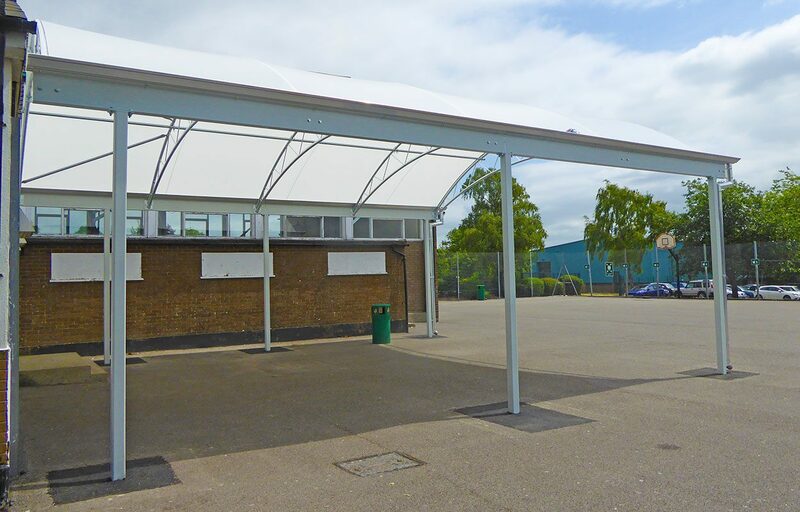 Cost efficient playground canopy for Bradon Forest School. 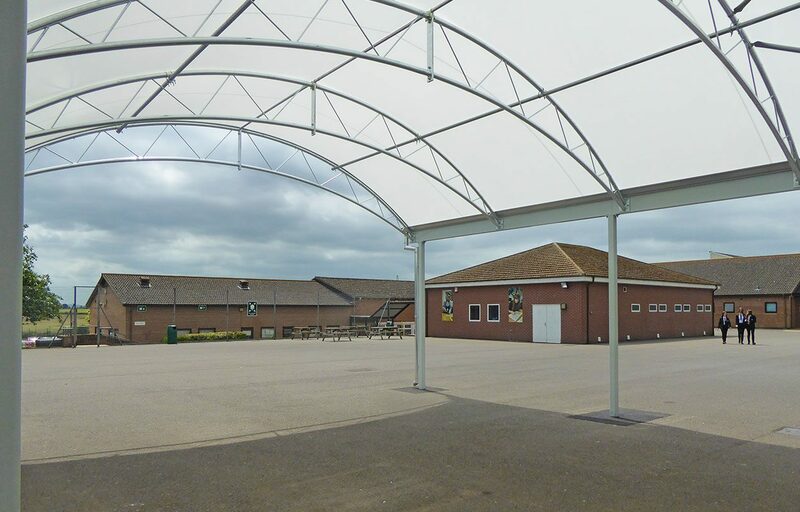 Fordingbridge designed and built a bespoke steel playground canopy for Bradon Forest. 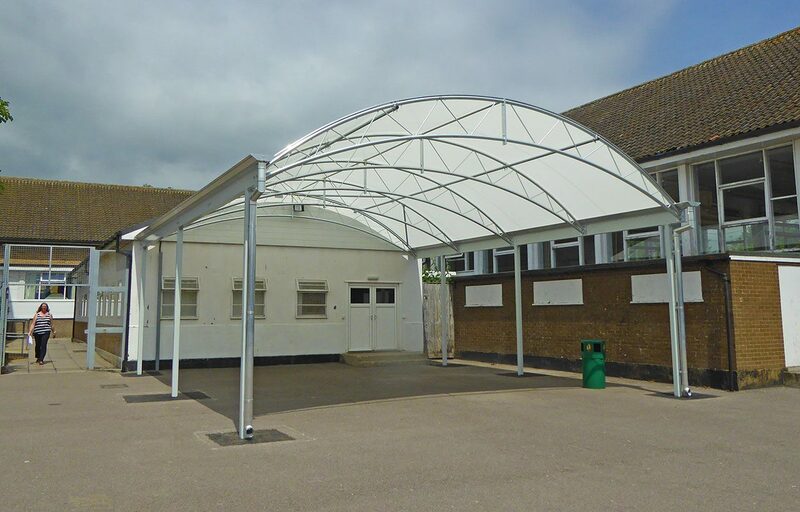 The canopy provides shelter for play, dining and learning, along with protection from harmful UV rays and rainfall for children and staff. 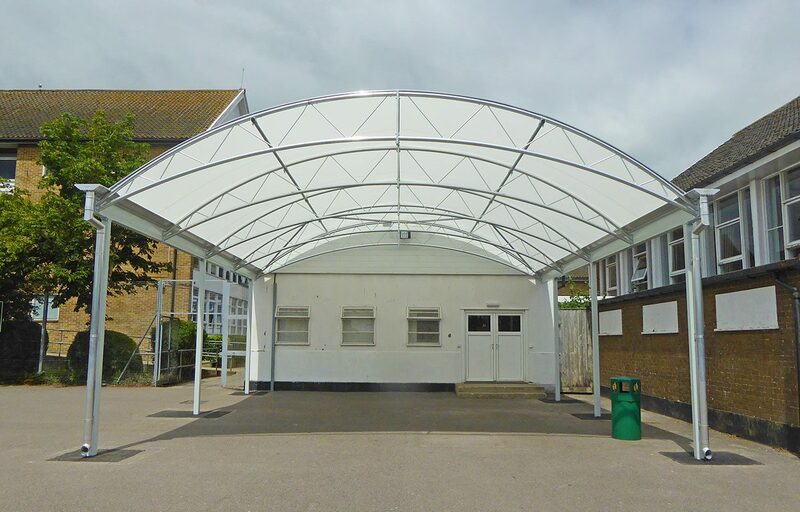 The trellis design is one of the most popular designs for school canopy applications due to its cost efficiency. An Opal 60 fabric roof covering completes the structure. This fabric roofing solution has been developed exclusively for Fordingbridge and is known for its longevity, high tear strength and fire resistance.